Abundant complimentary parking adjacent to the restaurant & the 65 unique specialty shops of Peddler's Village, Bucks County's premier shopping, dining, lodging & family entertainment destination. The service was very attentive and spot on with recommendations and answering questions but not intrusive. The rooms are pleasant and warm. The food was exceptional and there was excellent value for money. Suggest a reservation. We had a nice quiet dinner. The scallops were delicious, and the presentation was very nice. 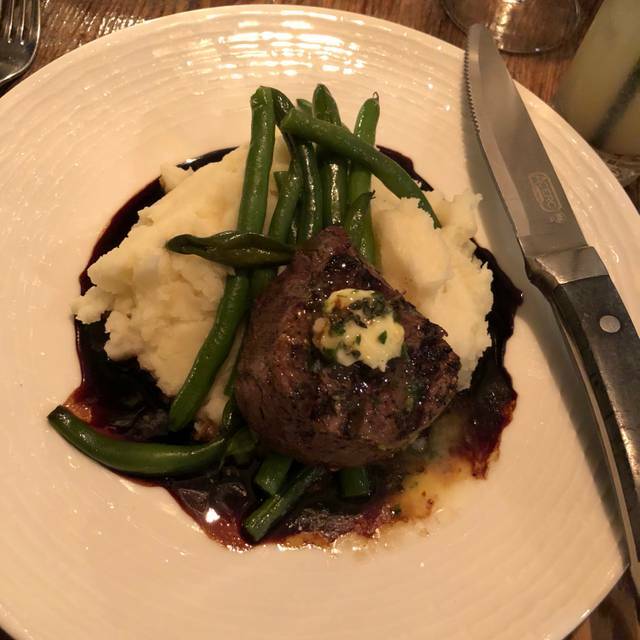 My wife had the filet which was just the right size for her. We appreciated that the serving sizes were quite adequate, but not over filling. 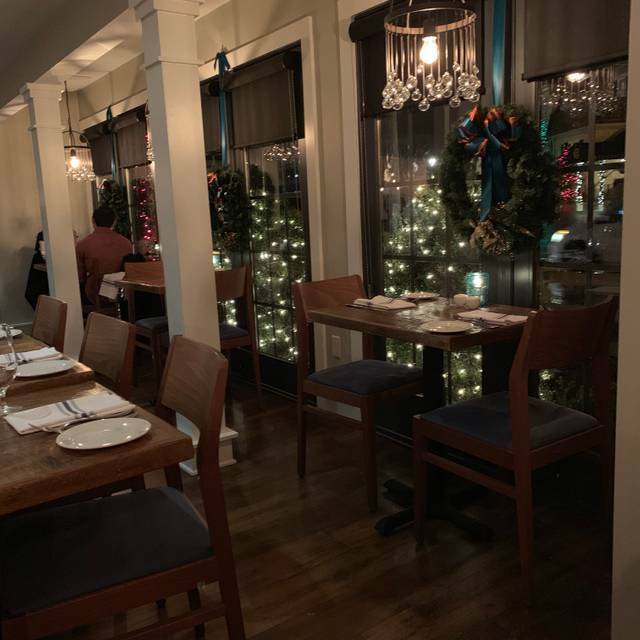 We would certainly eat here again and would reccomend it to anyone coming to Peddlers Village. Food was good quality with a varied offering. Wine list small but adequate. The open rustic look takes some getting used to for longtime patrons who remember the old set up. My wife and I tried Earl's for the first time on Saturday night and we were pleasantly surprised. The food was very tasty and the service was excellent. We sat outside on the patio, which was nice, but you do get a little traffic noise. Overall, we both agree we will be back. The food was exceptional and the service as well. We had a lovely dinner at Earl's New American. I thought the atmosphere was very warm and welcoming. The waiter was very attentive and professional. Our dinners were delicious and very interesting with different flavors and combinations of ingredients. 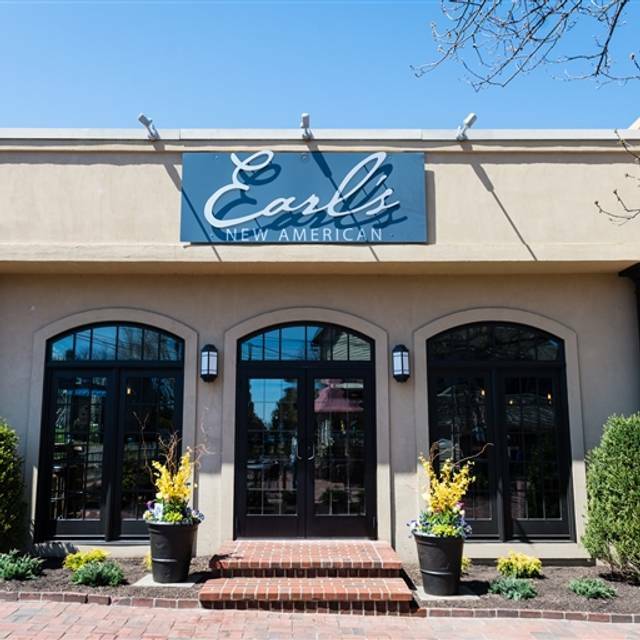 We would surely recommend Earl's for a nice elegant dinner. My friend and I met for a late lunch at Earl’s. The food was delicious, our server was lovely, and very patient with us sitting and talking for quite a while after our meal. Overall food was OK, but it lacked flavor. Such as the saffron risotto cake- no flavor. So that was disappointing. The 5oz steak was very good. The calamari was decent. The raspberry cocktail was delicious. We have eaten at Earl’s before. A few times to be exact, however, it was a few years ago and I guess our memories of a wonderful time from our past visits did not meet out expirations. What I mean it that we remembered it to be a truly wonderful steakhouse and we were hoping to experience the same this time around. That however, was not the case. The place was over booked and the hostess desk seemed to be truly overwhelmed by the barrage of people ( and we all know how angry people can be) waiting well past their reservation times. That said, we did not have to wait as long as others and were seated within 10 minutes of our appointment time. The service was fantastic and our server was very sweet. Again, she seemed to be just a bit overwhelmed by the busyness of the establishment. My soup and oysters were delicious and I enjoyed every bit of them. But, my steak, well, it was just a hair over medium rare and more on the medium side. I did eat it even if it was slightly over what I was hoping for. My problem is that in the last month I have been to two outstanding steakhouses (one being in NYC and the second in Ridgewood, NJ) and as I said, my expectations of the past visits at Earl’s combined with the steaks from the other two steakhouses, well, Earl’s just seemed to fall a bit short for me this time. On the other hand, my wife had an exquisitely cooked pork chop and she thoroughly enjoyed her dish. The salmon dish was perfect and my friend loved her fried chicken. I would recommend this restaurant. Service was also excellent. The staff is great. Crab bisque is delicious. Steak frites and shrimp rigatoni leave much to be desired, especially for the price. Love the food at Earl's. Dined on Wednesday night, the restaurant was fairly empty. The host was unable to find a table for us at our reservation time despite the fact that more than 90% of the tables were empty. I do realize it is important for a restaurant to even out the tables for the wait staff, but it was quite silly that it took over 10 minutes to find us a table when the restaurant was empty. We were a party of four, not forty. Once we were seated, the waitress was wonderful and attentive. Overall it was good, nice surroundings but the food could have been better, my shrimp were a little over cooked, not enough to send back though. Always outstanding!!! Great food and three meals a day. Don’t know how they do it. Friendly service and lovely soothing decor. We love Caleb’s and recommend it to everyone! Got to Earls at 7:15 did not eat till 8:35 very slow and poor service. Then the manager asked us if the food was worth the wait ??? I did not answer I was to hungry spent over $100.00 with tip. Last time for Earls ! Very nice luncheon meal. Staff is very friendly and greeted us . They took int account our need for access due to the use of a cane. Our waitress either answered our questions about the menu or asked the chef. All our questions were answered. We were able to substitute or modify some items, which helped in our enjoyment of the meal. Overall, an enjoyable meal served by a very cordial staff and prepared by a very good chef. This was a special day for me, as I was reuniting with friends that I hadn’t seen in 28 years. The wait staff was very respectful of this fact, and did not rush our ordering or make us feel rushed. The food was good, the she-crab bisque was especially flavorful with plenty of crab meat in it. The turkey panini sandwich lacked flavor, it needed some additional spices. Overall a very good experience. I would return to Earl’s again. Food was excellent. Service was great. My only complaint would be the noise level. My boyfriend and I were looking for a nice dinner and were steated next to a large party which was loud. We asked to move and we were accommodated but were moved next to another large party. I would definitly go back however I would request a quiet table. 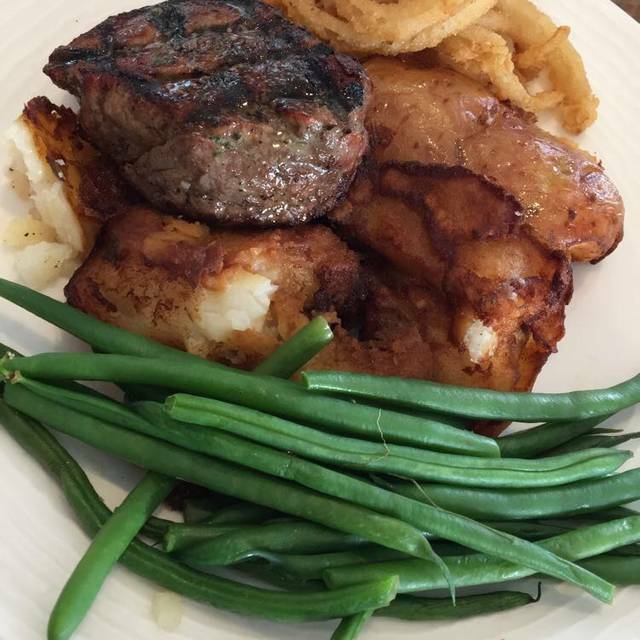 Our steaks were cooked to perfection and our desserts were delicious. The wine selection was also good. Over all Earl's was above average. The food was good but both my dinner date and my steaks were over cooked. The wine list is on the paper menu but with the lighting and the colors of the menu it was hard to read it. The first bottle of wine we ordered wasn't in stock so we had to order a different one. The Service was pleasant and efficient. The coconut cake was delicious. My one complaint is that the room was loud and the people in the next table as well that we couldn't hear our waitress nor could she hear us. It seems there isn't any sound dampening there. I might recommend Earl's again but not for a romantic dinner or one where you enjoy good conversation as you dine. The atmosphere was great. The service was wonderful. The food was very good. Food was great...service was excellent. Prices were fair. Would recommend and will return. Food was good. Place was loud they have crammed a lot of tables into space. Was seated at a very small table for 4 when there were larger tables of 4 empty. Not sure why. Service was very good. Server was excellent. Price -value was ok. Just seemed crowded- tables close together. Main dining room should have 2 or 3 fewer tables but I get it’s all about revenue per hour. But for this reason it would not be a top go to place. I may come back because food and service is good but not in a hurry to go since I like a good relaxed atmosphere and want to be comfortable. I felt cramped and it was loud. Outstanding on every level. Had been there a few years back when the restaurant was extremely noisy. They have fixed that now and it made for a wonderful dining experience. Great meal and service! We really like the atmosphere and ability to walk the shops before dinner. Lovely time. We had a double birthday celebration with friends and family from out of town. It was a great nite! Went with my daughter for a mother/daughter night out. We had appetizers, oysters and hummus and pita, and we both had steaks. A filet and a ribeye. Filet could have used a little more seasoning, but my daughter was happy with adding a little salt and pepper. They were delicious! For dessert we had the creme brûlée and pot du creme. Wow! A MUST...best desserts I’ve had there! Not recommended for lunch. A bit over-priced; food is barely OK, at least a lunch. Does have a pretty good wine selection, even by the glass, but those are a bit pricey also. I had the Fried chicken entree for the first time and really enjoyed it. The slaw was delicious as well the lightly fried corn muffin was excellent! We always ask for Sal as he is a wonderful waiter. Also glad to see Savage Blond oysters, next time maybe Wellfleet!! Great Date night dinner. Service was terrific and the food was delicious. The food was outstanding their were 4 adults in our party. Everyone throughly enjoyed the food. Even the coffee was terrific. The only complaint I had was the noise. They need to add some fabric to the dining rooms in order to absorb some of the sound. It wouldn’t stop me from going back but improving the acoustics would make the experience much better. All in all I would highly recommended it to friends and family! This was terrible. My husband ordered fried chicken that came out burned. When we told the waiter he said that's how it comes out sometimes. I ordered a steak med-rare and it was more on the well done side. The place was not anywhere near what we expected it to be as far as the food was concerned. We were very disappointed. Waiter was ok but service was extremely slow. Will NOT be returning. 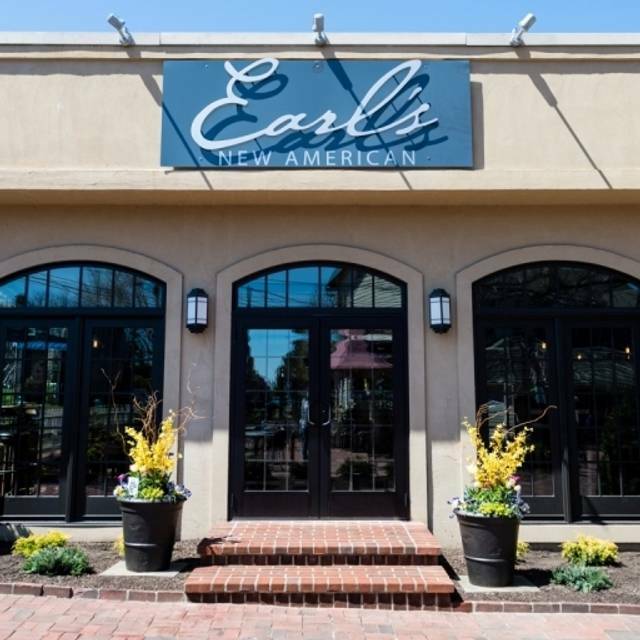 Everything about our experience at Earl's was great. The service, the food and atmosphere were just amazing. We both ordered steaks - both were perfectly cooked - juicy and tender on the inside and crispy and flavorful on the outside. We will definitely be going back. Birthday dinner for my Girlfriend. Server was very prompt and times the courses perfectly. We requested a quiet corner via the open table app and that request was accommodated. Everything was very nice and the food was very good. I guess my 4 star rating is because while the food was very good, it was not great. Would definitely try again. Apps and Entree were delicious. Service was great. There when you needed something but not interrupting every 5 minutes. Will be going again. The service was great and so was the food . The valentine music by Lorenzo could not be any better. The menu gave us a nice variety of options and the desserts were to die for. The drinks were fresh and cold . This was our first time at Earl's and all I can say is we will be back! 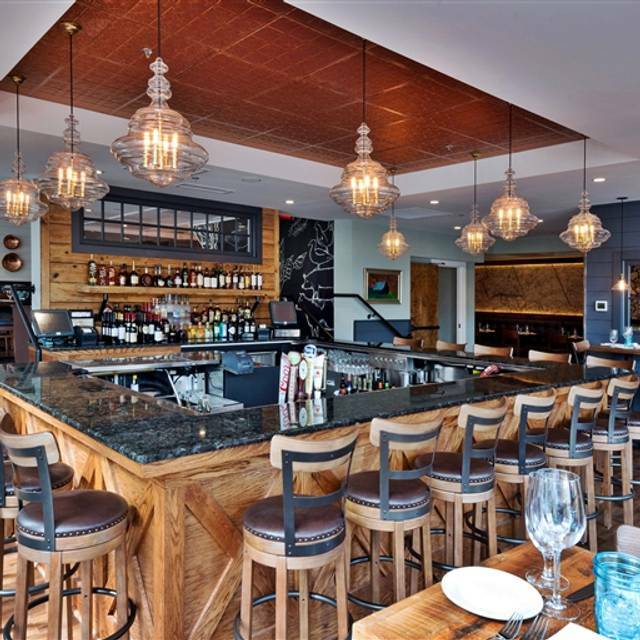 The attention and service was excellent, the food was outstanding and the overall ambiance was delightful. And we truly enjoyed hearing the live music as well. The service is great, the wait staff are very attentive and professional. The food is wonderful and you never have to wait too long for a drink to be made.